Smartphone photo while driving in the dark. Happy New Year! 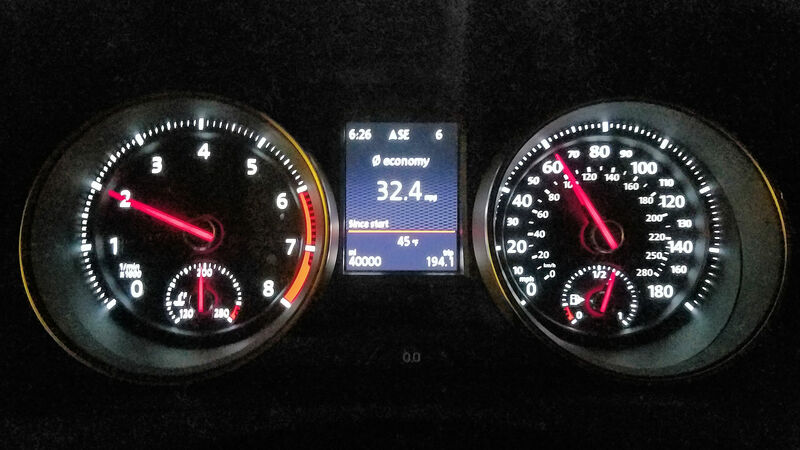 My GTI continues to accumulate miles at a quick pace. At my current rate of driving, the car should reach 175,000 miles by the time it’s five years old. It’s scary to consider the car’s value at that point. I think it would be too low to bother selling, so I’d probably keep it even if I buy a newer car. I wonder if VW’s electric cars will be tempting for me by then? Most people are not terribly impressed that my 20-year old Mk3 Jetta TDI has 450,000 miles on the odometer. It’s an old diesel, right? But a Mk7 GTI with 200,000 miles may turn a head or two someday. I’ve been somewhat busy during the past 10,000 miles. In this time, I replaced my floor liners with Findway F518s, started carrying a tire plug kit in the car full time, improved access to my spare tire, installed smaller headrests on my rear seats, upgraded to an RSR clutch, upgraded to a steel oilpan, and took the car on its first family road trip. 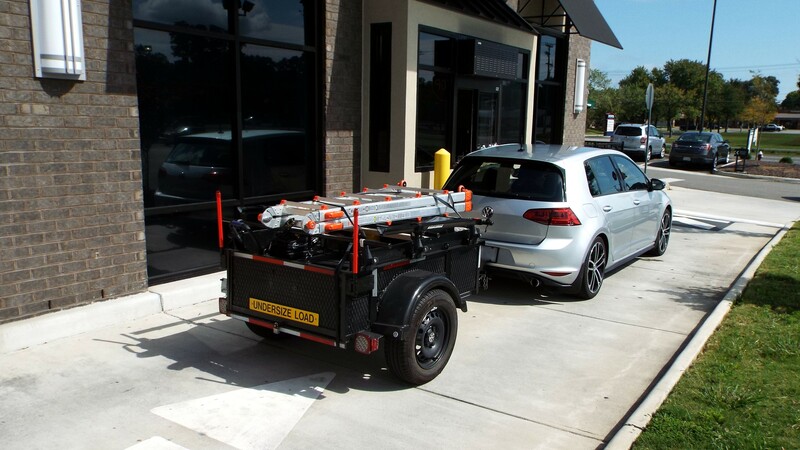 The car was also a workhorse with the trailer during a fall clean-up. I’m also having work done to my house which required me to clean out my garage. 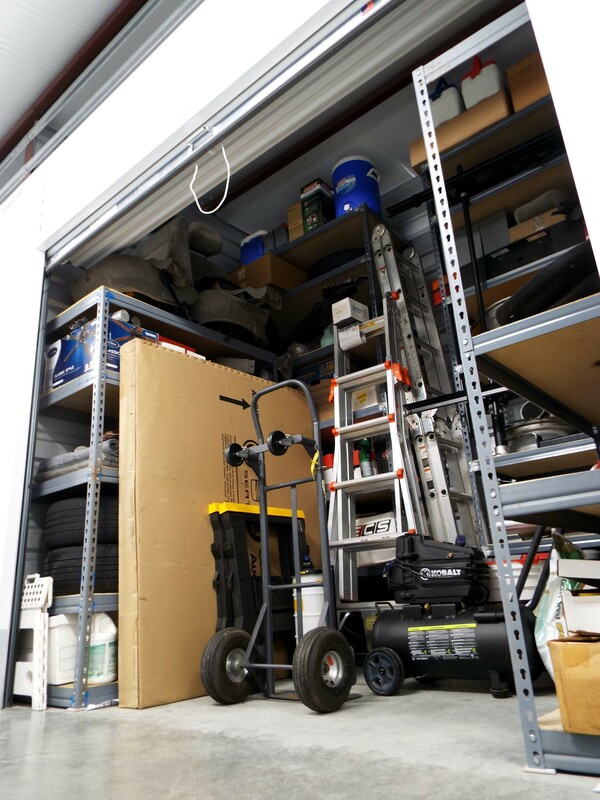 I used my GTI to move everything into this 10×7.5′ climate-controlled storage unit. I’ll use it again to transport everything back in a month or so. I have really enjoyed this little car, which seems to be able to do nearly anything I want. I have decided that I’m very happy with the stock springs. They have settled at a height that I can appreciate and the ride is very good. 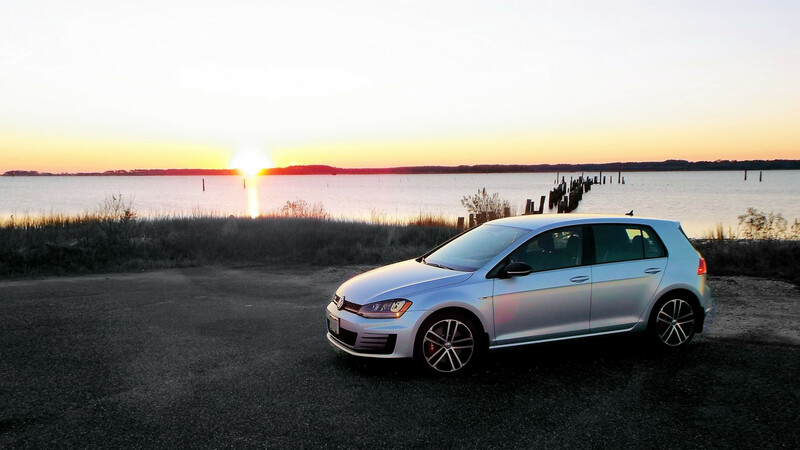 Remember: I use my GTI primarily for commuting, with travel being a distant second. Therefore, I no longer desire a spring swap. I’ll probably install better struts/shocks when it’s time to replace the stock units. That alone will firm the ride a tad. The intake and exhaust are other popular upgrades. Oddly enough, I don’t want to change those, either. This discussion reinforced what I already knew, especially the info about cat-back exhausts. In short, all an intake or cat-back will accomplish is more noise, less money, and maybe 10-hp. I still plan to install a downpipe and reflash to APR Stage 2, which will probably change the exhaust note a little. Otherwise, I’ll enjoy having a nice, quiet car that jumps into action when needed. I’m still considering different wheels. Lately, my money has gone into my house or my resurrected hobby of photography. I’ll stretch my factory all-season tires through the winter and then make a decision in the spring. By then, it should be an ideal time to buy some high performance summer tires. I haven’t decided if I’ll move to 17-inch wheels or stay with 18’s. The Nogaros have really grown on me, so I’m not sure if I’m ready to give them up, especially now that they’re going to be somewhat uncommon in the United States. “What?”, you ask? To my knowledge, the only cars to feature this wheel are the 2017 GTI Sport (U.S. only) and the GTD (Europe only). I’m not saying my wheels will become a precious commodity or make me rich if I sell them, but I like the idea of having wheels that are relatively uncommon. Writing about the impending Nogaro extinction reminds me of something that I’ve shared here before: I’ve purchased cars in the past that seemed unique at the time, only to see them apparently EVERYWHERE within a few months. 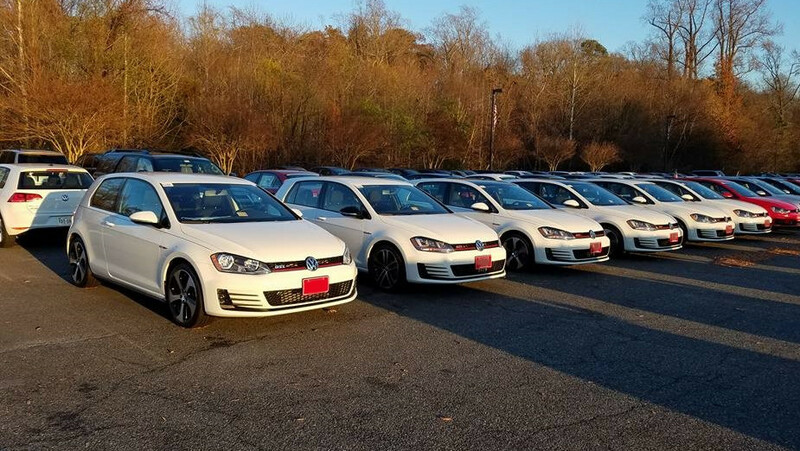 White GTIs are a great example. I think they’re the most abundant color in my area. 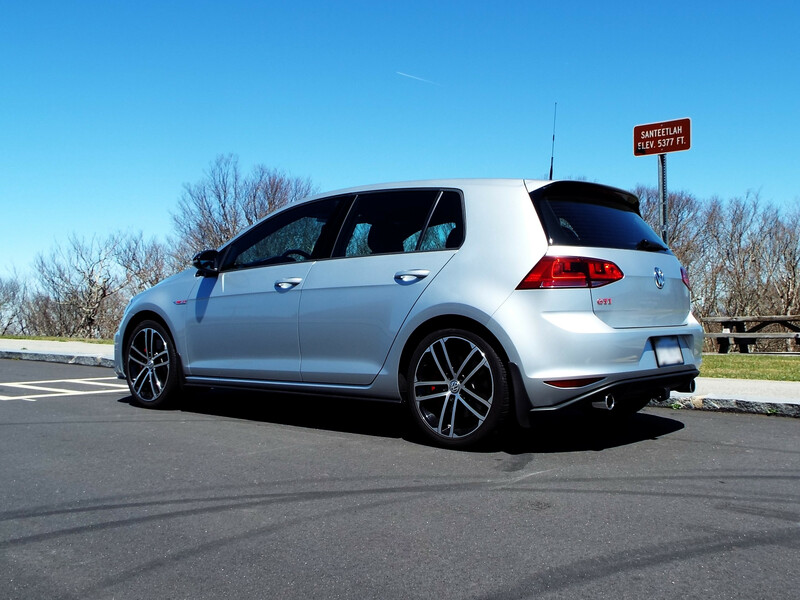 I’ve only seen a handful of Reflex Silver Mk7 GTIs during the past year; NONE of them were Sports. As a result, I still feel like I’m driving a car that’s unique to me. 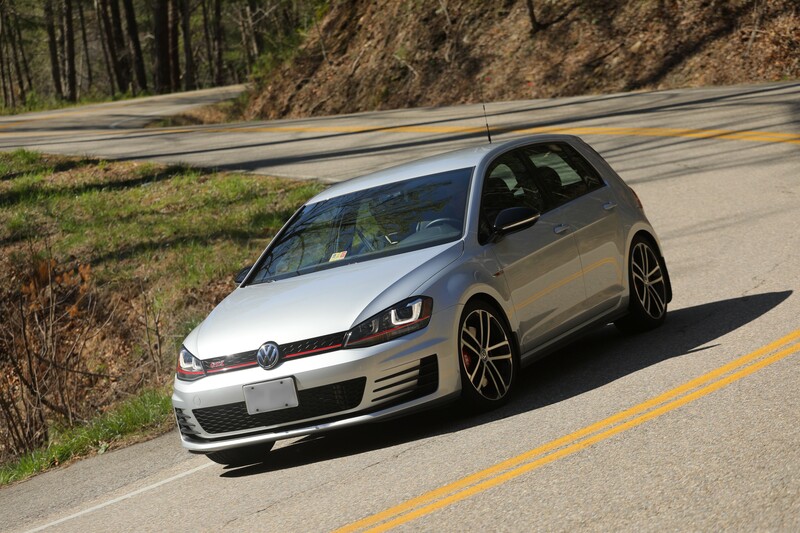 I saw another Reflex Silver GTI Sport at BugOut 80. The owner had added aftermarket wheels, so my car was still the only one with Nogaro wheels. 🙂 I have to ask myself whether I want to buy wheels that may or may not be as unique or if I want to continue with the Nogaros. After all, some people’s choice of aftermarket wheels seem nearly as trite as the Austins they replace. I don’t want that! I’ll think about it.